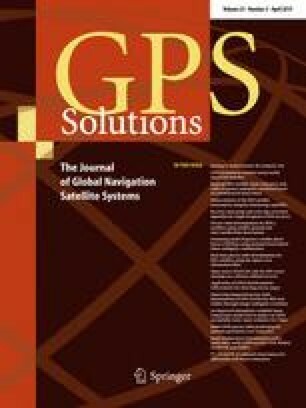 The research regarding global positioning system (GPS) vector tracking (VT), based on a software-defined receiver (SDR), has been increasing in recent years. The strengths of VT include its immunity to signal interference, its capability to mitigate multipath effects in urban areas, and its excellent performance in tracking signals under high-dynamic applications. We developed open-source MATLAB code for GPS VT SDR to enable researchers and scientists to investigate its pros and cons in various applications and under various environments. To achieve this goal, we developed an “equivalent conventional tracking (CT)” SDR as a baseline to compare with VT. The GPS positioning estimator of this equivalent CT is based on an extended Kalman filter (EKF), which has exactly the same state, system, and carrier measurement models and noise tuning method as VT. This baseline provides users with a tool to compare the performance of VT and CT on common ground. In addition, this MATLAB code is well organized and easy to use. Users can quickly implement and evaluate their own newly developed baseband signal processing algorithms related to VT. The implementation of this VT code is described in detail. Finally, static and kinematic experiments were conducted in an urban and open-sky area, respectively, to show the usage and performance of the developed open-source GPS VT SDR. The GPS Tool Box is a column dedicated to highlighting algorithms and source code utilized by GPS engineers and scientists. If you have an interesting program or software package you would like to share with our readers, please pass it along; e-mail it to us at gpstoolbox@ngs.noaa.gov. To comment on any of the source code discussed here, or to download source code, visit our website at http://www.ngs.noaa.gov/gps-toolbox. This column is edited by Stephen Hilla, National Geodetic Survey, NOAA, Silver Spring, Maryland, and Mike Craymer, Geodetic Survey Division, Natural Resources Canada, Ottawa, Ontario, Canada. The authors acknowledge the support of Hong Kong PolyU startup fund on the project 1-ZVKZ, “Navigation for Autonomous Driving Vehicle using Sensor Integration”.